Roy offers personal psychic sittings, Reiki Healing and Quantum Touch® Healing as well as Shamanic Healing. He also provides training for practitioners &; instructors in these psychic and healing practices and modalities. When a loved one, family member or close friend passes to Spirit, especially when someone young or in the case of an unexpected or sudden parting, we grieve and suffer in our own way. In some cases, this pain can last for many years and can seem to be unending. A psychic sitting or psychic reading with Roy can be a most relaxing and positive experience and provides an opportunity for you to hear from your loved ones and family. It can be enormously helpful in reducing the pain of that earthly loss and in helping people to come to terms with their grief. Much strength can be gained from knowing that our loved ones have not left us for good; we can still be in contact with them and that we will, one day, see them again. It is a great gift to realise that they can pass messages to us through a channel such as Roy, working as a professional medium. The time spent with Roy in a spiritual sitting is just like speaking to a long time family friend. Although it can't always be determined in a spiritual reading who will come to communicate from Spirit, we can be sure that the messages will be pertinent for that person (or another close family member) at that time. Many people come to Roy, as a professional psychic medium, looking for messages and guidance from departed loved ones in Spirit or Spirit Guides that might steer them towards the right path in the future. Time and time again we see how this can provide insight and guidance in our daily lives. Sometimes our relationships are experiencing difficulty or important and challenging decisions have to be made about our home or working lives. A spiritual session with Roy may significantly help in such instances through his ability to connect and channel with Spirit for guidance. Roy has very powerful gifts and these are enhanced by over 40 years of working with people in various guises across the Globe, thus providing him with in depth knowledge of many cultural, religious and spiritual teachings. 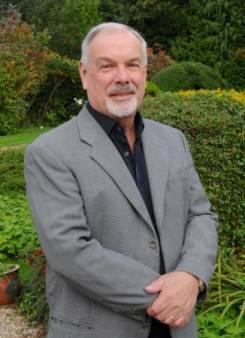 His time travelling has therefore provided Roy with a unique sensitivity to the many cultural issues a Psychic Medium has to deal with, especially when working with a wonderful diversity of clients. A one-to-one private sitting with Roy can bring closure to many issues and questions. We all have the ability to heal ourselves although the power of this gift has long since been forgotten and misunderstood. The work of a Natural Healer is to help the client to source their inherent ability to heal themselves. Natural healing can restore good health and ease pain and discomfort through the balancing and harmonisation of the 3 elements of your being – the mind, body & spirit. The technique can complement any existing treatment being undertaken through the client's doctor or therapist. Reiki is a healing system that uses naturally occurring variable frequencies and when this energy is applied to various parts of the body and mind by a trained and experienced Reiki Practitioner, then natural healing occurs. The term Reiki is made up of two Japanese words; Rei meaning Spiritual and Ki meaning energy. Reiki is three different types of energy and when directed accurately can heal the physical body, the emotional self and the spiritual self. The concept of therapeutic touch is widely used by nurses and health professionals and was introduced over 25 years ago by Delores Kreiger. Quantum Touch® or (QT) is a method of hands on healing employing a light touch and gentle breathing techniques to accelerate the body's own healing response. Dr Andew Weil said "I think the best kind of medicine is the gentlest treatment that produces the maximum healing response." Quantum Touch does just that. Just one session of QT can bring about high levels of positive change and relief for the client. A short series of "Healings" can bring about long term or permanent relief. If you wish to develp your own psychic and healing abilities, why not book yourself on to one of Roy's training events? Courses include mediumship, meeting your guides working with spiritual energy and advanced healing techniques including Usui Reiki leves I to IV and Quantum Touch® healing. For more information, See the courses page. 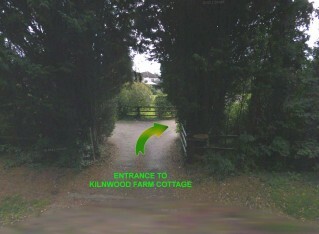 Roy runs his unique Spiritual Practice from "The Coach House" at Kilnwood Farm Cottage, situated in the lovely Chalfonts, near Gerrards Cross in Buckinghamshire, United Kingdom - just 30 minutes from Central London. 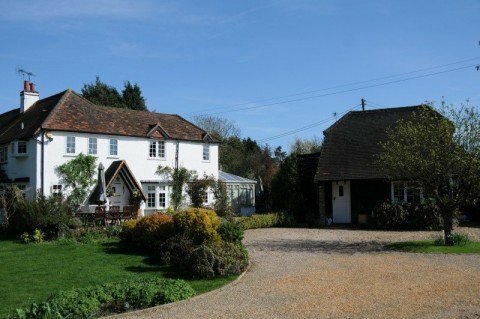 On arriving, Roy's client's say that they instantly feel the special spiritual energy of the 1740's former farmhouse. A stroll through the gardens will lift your spirits, even before you spend one to one time with Roy.